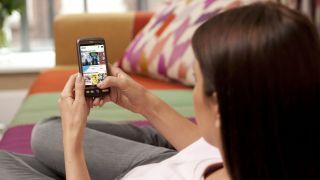 Things are about to get a bit speedier in the UK with the announcement of EE's 4G network launch date as 30 October 2012. The date sees the new EE brand "go live" alongside the super-fast mobile network, which will go live in ten cities around the country (London, Leeds, Liverpool, Manchester, Sheffield, Glasgow, Edinburgh, Cardiff, Bristol, Birmingham). EE says that Belfast, Derby, Hull, Nottingham, Newcastle and Southampton will also join the 4G line-up by the end of the year. Earlier today, EE announced the phones that will first be able to handle the 4G network, with the HTC One XL, Huawei Ascend P1 LTE and Samsung Galaxy S3 LTE joining the iPhone 5 in the launch line-up. You don't have to wait until October 30 to upgrade though; EE will let you buy the phones now then upgrade to 4G plans once they're available. Speaking of which, there's still no word on tariffs and pricing for the UK's first 4G network; we'll be pestering EE every day until it tells us though, rest assured. Of course there was time for a bit of smug gloating about being first to 4G, with Olaf Swantee, CEO of EE, saying, "We are very proud to be pioneering, innovating and leading our industry in launching 4G for our nation through our new EE brand." Three, O2 and Vodafone will also be launching 4G services by the end of summer 2013.